These words are mounted on our front wall, serving as the mantra of the Tinkering & Engineering Sciences (TES) Lab. It is important for the students to remember as we are deep in circuits, robots, and 3D-printing that our mission of advancing creativity and innovation does not happen in a vacuum. The goal is to help people, and this begins by recognizing a need. 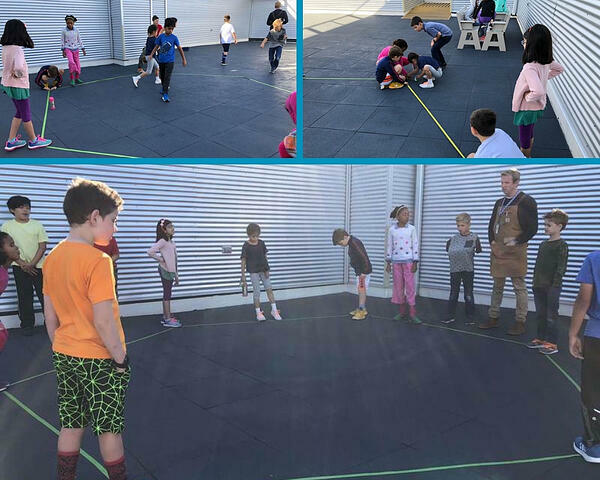 The third-grade students have recess on occasion on our roof's play space. They quickly and vocally discovered, though, that there's not much to do up there. Several of the students have played the popular camp game "Gaga" and wanted the class to build the pit required to play. Once we reached consensus that this was a problem worth solving, we set about figuring out how to get one up there. We started by going up to the roof and marking off the dimensions to make sure there would be a place for it to fit. This already showed the students the important role practical mathematics would play in this project. They measured feet and inches, discussed the properties of hexagons versus octagons, and explored angles. It had to be able to be dismantled as needed. It couldn't be a permanent structure. The sides couldn't be longer than 5 feet. It could not be excessively heavy. The students would need to be able to move it. The gaga pits the students had played in before had all been heavy structures that were anchored into the ground, so we would have to radically change the designs they were familiar with to adapt to these specifications. Which brought us to the next phase - research. If you are designing a better mouse trap, you study mouse traps. If you are working on a new chair, you look at the chairs that are around you. 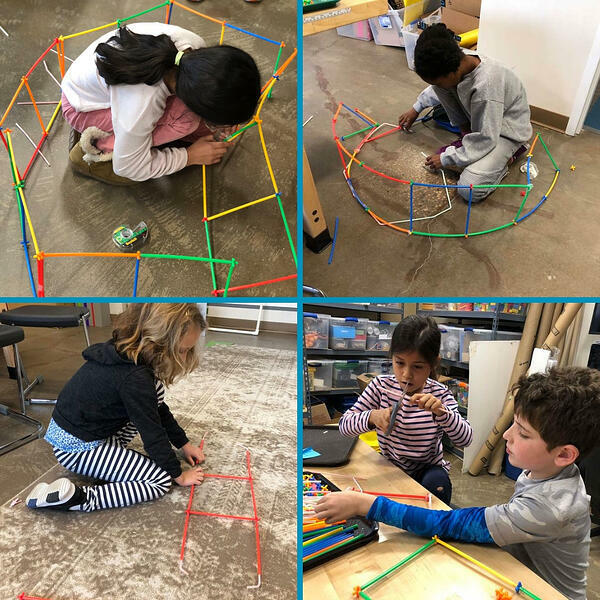 The third-grade engineers googled pictures and videos of other gaga pits, sketching the designs that they found and evaluating how they would fit our specifications. One student came to the conclusion that we could save weight without solid walls, and instead frame with some sort of netting or fabric inside. 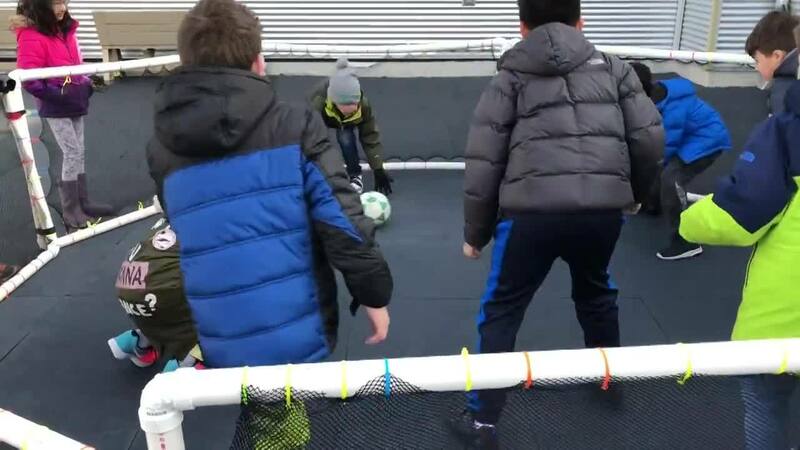 Shortly after, another student found a website that made the kind of gaga pit walls we were talking about—with an unforunate price tag of almost $4,500! Not to be deterred, table one set off to make their own small, quick prototype out of PVC pipe that we had laying around. We came to a consensus that this would work and made even smaller prototype versions so that we could see how they could fit together and what shape would be best. 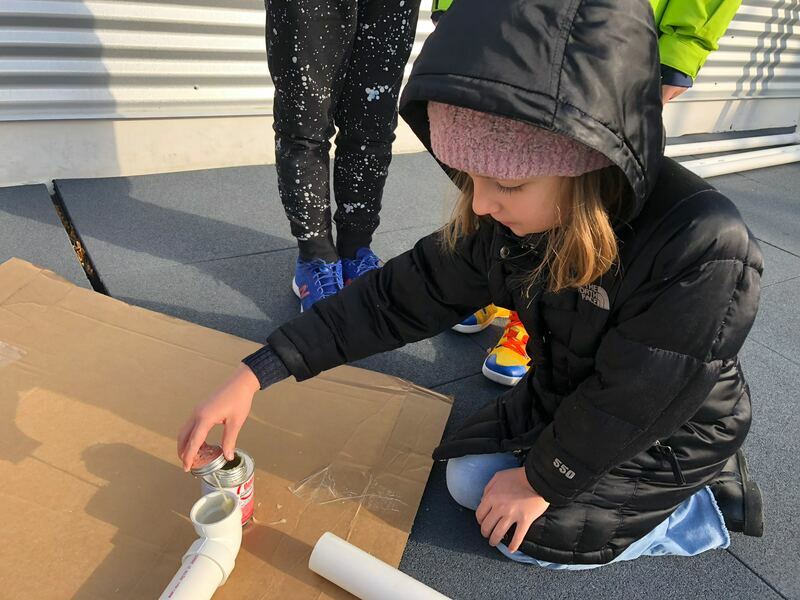 Slowing down and learning to prototype designs before you rush in and build with expensive materials is crucially important as our students become thoughtful, independent creators. Feeling comfortable in our plan, we then had to figure out how much PVC we would need to buy and in what sizes. Here, again, is that practical mathematics. If we are buying five foot pieces of pipe, we need to know: how many would we need for each wall of the gaga pit? How many connecting pieces? Here, the students are dividing into fractions, multiplying and measuring, but doing so in a way that feels purposeful and vital, not simply as an assignment. When working with real materials that cost money, it is important to be exact while planning. 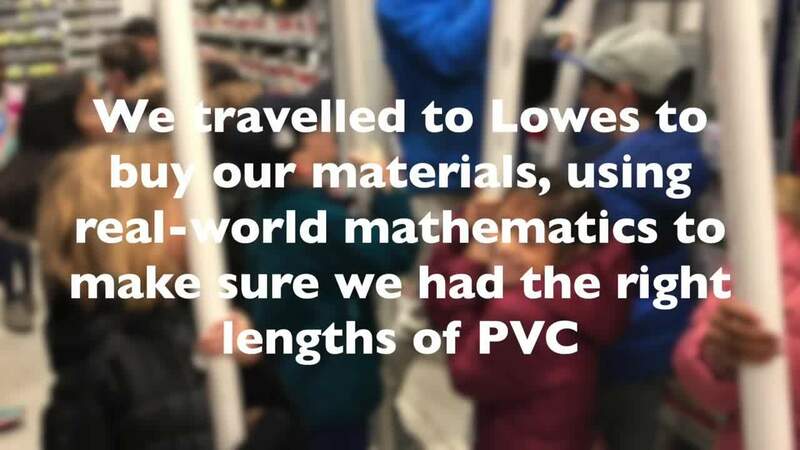 Once we had our PVC shopping list, we were off to Lowe's! 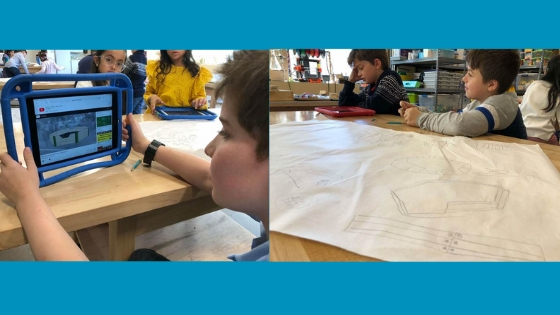 It was important to Ms. Sumbal, Ms. Trisch, and I that the students see where their materials were coming from—that it doesn't simply show up in the classroom like magic simply because they wanted it. Ms. Sumbal and I used this as an opportunity also to talk about conscientious shopping in regards to Lowe's versus Home Depot. I prefer Lowe's because they have a better history of treating their employees fairly in regards to hours and compensation and Ms. Sumbal agrees because they have programs supporting women into management roles. 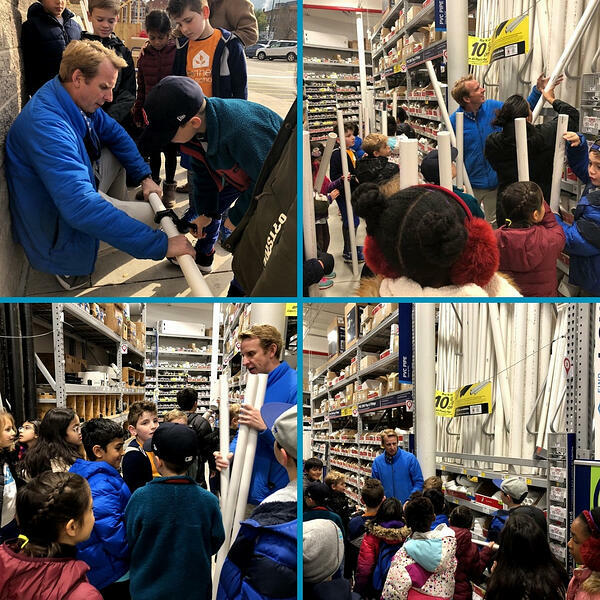 At Lowe's, they didn't have the right amount of 5-foot PVC sections, so we had to do some on-the-fly multiplication and division to help us figure out the right amount of 10-foot pieces to cut down with a PVC cutter outside the store. We took public transportation, of course! Now, it's time to assemble! We used PVC cement from Lowe's to make sure the sections didn't fall apart. We read on the cement can that you shouldn't inhale the fumes, so we were careful to do this on the roof. Once the frames were glued and set, we purchased net material from JoAnn Fabrics and put our special Harvest Fest guests to work in zip-tying it together. This required some on-the-fly iterating and problem solving, as we determined the best way to attach them and discovered that we needed to sand down the edges of the zip ties after we trimmed them. Following a lengthy discussion of how best to combine our walls into a Gaga pit, one classmate suggested simply using velcro ties to attach them at the ends. We practiced putting it together, discussing the attributes of an octagon (opposite sides are parallel) that would help us remember how to keep it straight and then began testing our design. It was important to remember during those first few inaugural games that we weren't merely celebrating our accomplishments. Rather, we were testing our structure, refining our rules, and opening ourselves up to iteration. For instance, when discussing whether the game should start with players' backs against the wall or simply a hand on the wall, one engineer looked at it from a structural point of view rather than a competitive one. She concluded that a hand on the wall would help keep the structure up but all of us pushing our backs against it could cause it to come out of shape or possibly fall. The design process is referred to as such because it does not simply stop with a finished product; rather, we continue to test, observe, and tinker until we have it right. Not content to stop with their own enjoyment, the students then created a video to demonstrate to the younger students how to play Gaga. The students of Bennett Day School now have a Gaga pit to use in their rooftop play space! 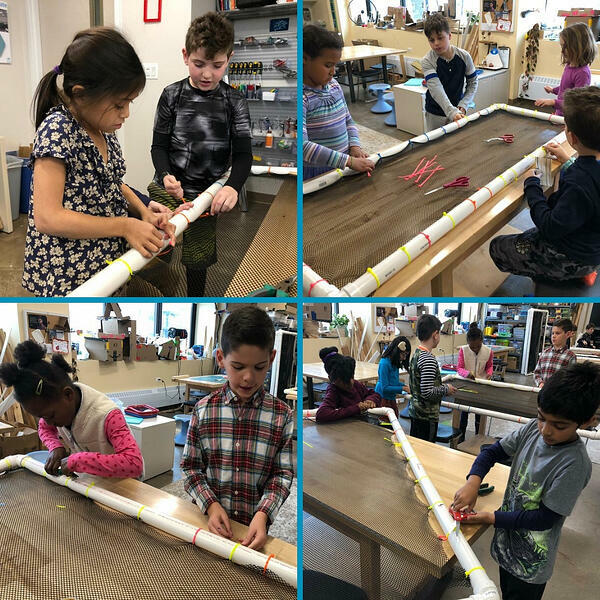 More importantly, our third-grade engineers have the experience of planning, designing, and building a large-scale project to solve a school-wide need. They are that much further on their way to becoming independent, intentional makers of things. Without further ado, "How to Play Gaga!" Tinker Lab Take-Apart and Circuits Galore!